Just thought I would share a few photos I took on my recent holiday in Dorset. It was the first time I had visited the area so didn’t really know what to expect. 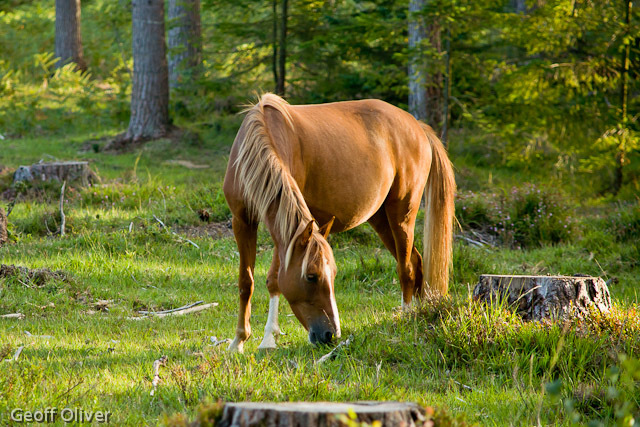 I had heard about the New Forest Horses of course but what I didn’t appreciate was just how many there would be and how widespread an area they are free to explore. 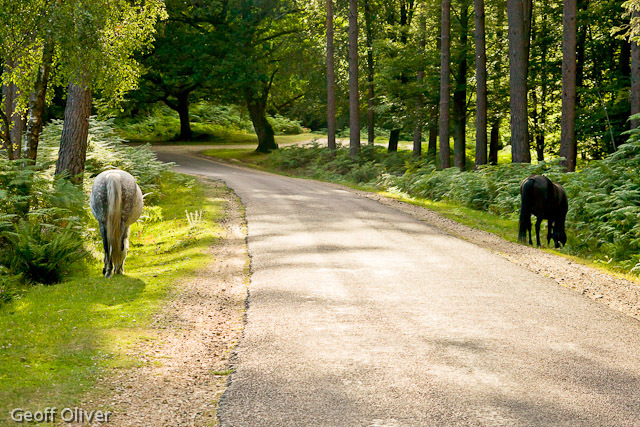 One of the highlights of the week for me was seeing all the horses (and cows and occasionally goats and donkeys) roaming virtually free across large areas of the New Forest. 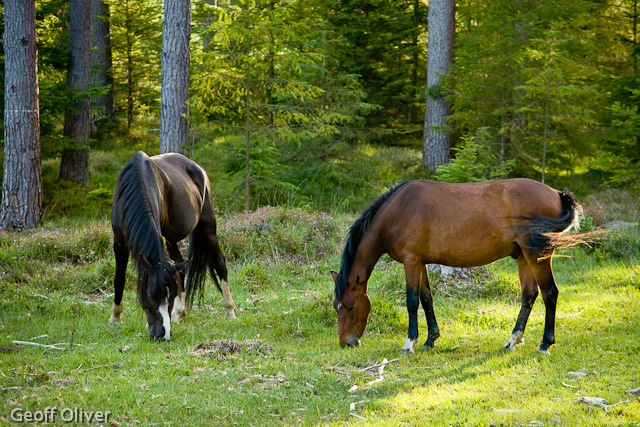 Drivers need to be on full alert at all times although the horses themselves seem to be oblivious to passing vehicles. As anyone who knows me would testify, I am pretty hopeless when it comes to photographing landscapes but put a large brown animal into view and suddenly I have something to point the camera at and use as a focal point around which to compose a (hopefully) pleasing composition. One thing I have picked up from landscape photographers over the years is the best times of the day to take scenic photos. Early in the morning (even before sunrise) is one of those times, especially if there is a morning mist as there was in April for my visit to Bradgate Park. Then in the evening as the sun goes down and the shadows grow longer, and the light takes on a warm glow, assuming of course that the sun stays out which in my experience it often doesn’t. 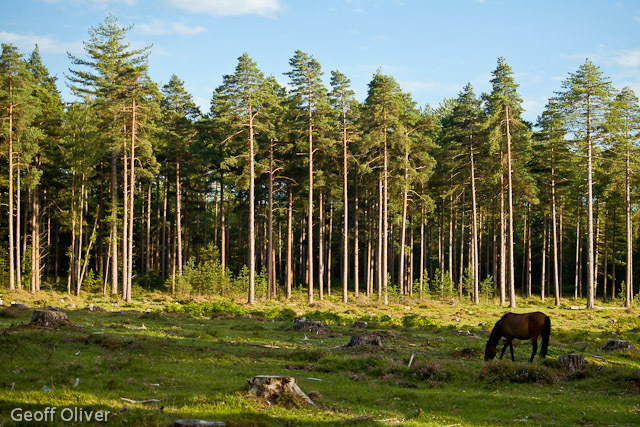 So it was that I set out one evening to photograph the horses of the New Forest, not really knowing where to head for, but with a vague idea of the sort of light I was hoping to see. I shall post more photos from my Dorset holiday soon, including my hike from Lulworth Cove to Durdle Door on the World Heritage Jurassic Coast. 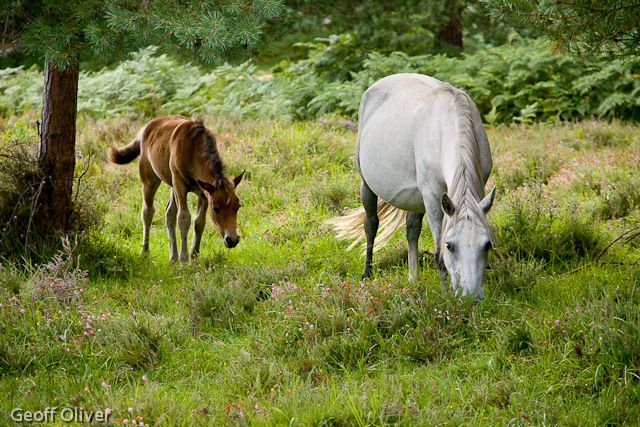 Meanwhile my New Forest Horses can be seen in higher resolution over on my website.